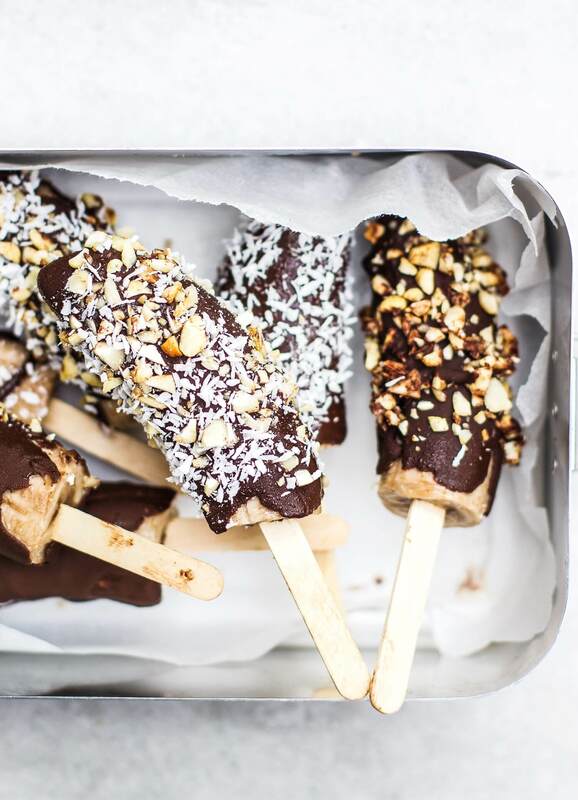 These banana pops are the easiest summer treat and they’re so delicious. Change it up with whatever toppings you like- my favourites are roasted nuts and coconut. Peel and chop the bananas in half. Stick a popsicle stick into each half and pop them in the freezer for about an hour. Melt the chocolate and get all of your toppings ready- once the chocolate is on the bananas they set really quickly so you need to be ready to go with the toppings. 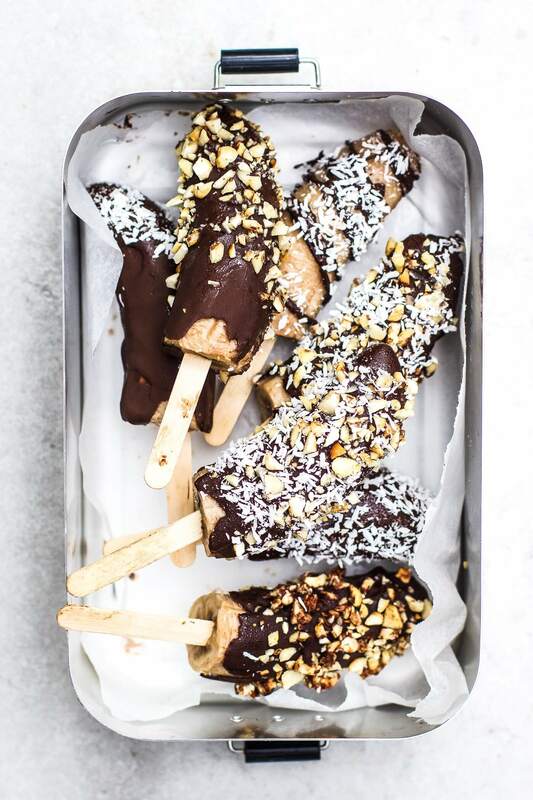 Dip the bananas in the chocolate (use a spoon to coat get it all around) in a thin layer of chocolate, then sprinkle on your toppings. Lay them back out on the chopping board and pop them back in the freezer for a few minutes until set. Keep them in the freezer. Hi Indy, these look yummy! Where do you get the popsicle sticks please?